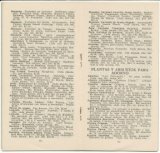 Click on the thumbnails below to see an enlarged image. 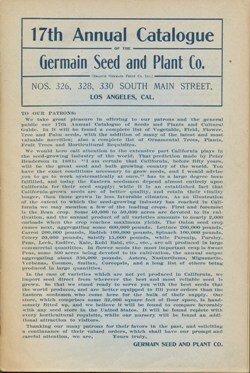 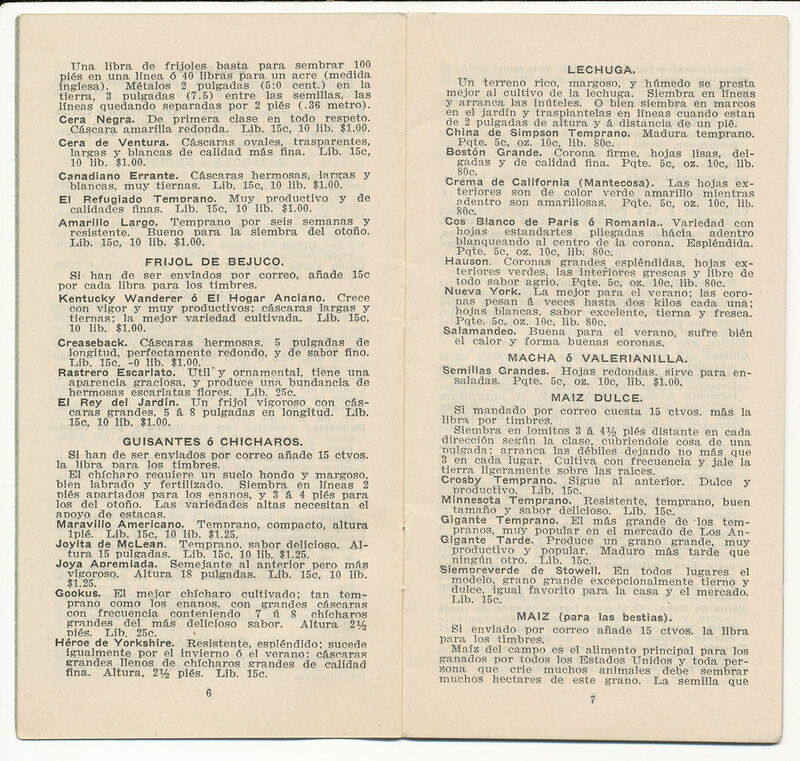 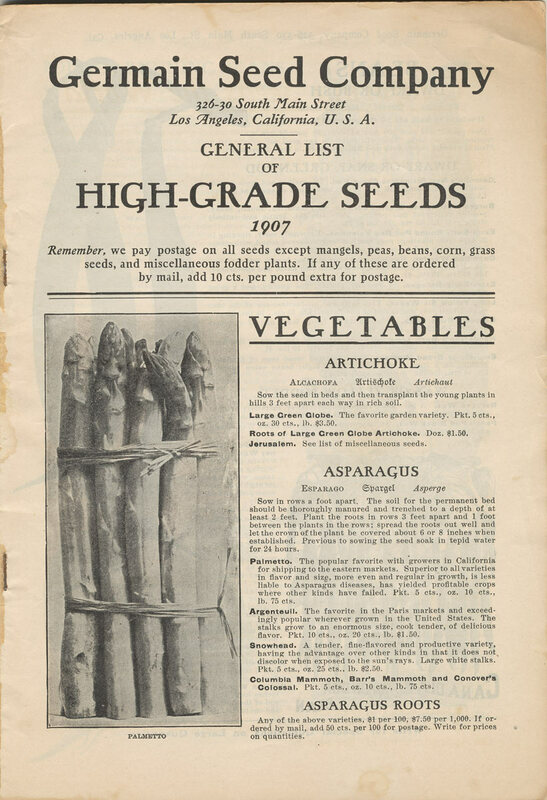 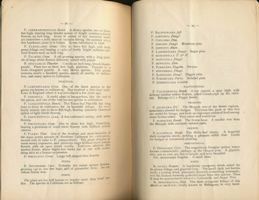 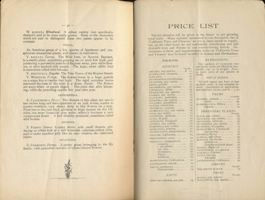 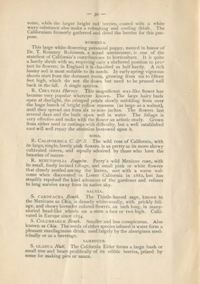 This is our oldest catalog from a southern California nursery. 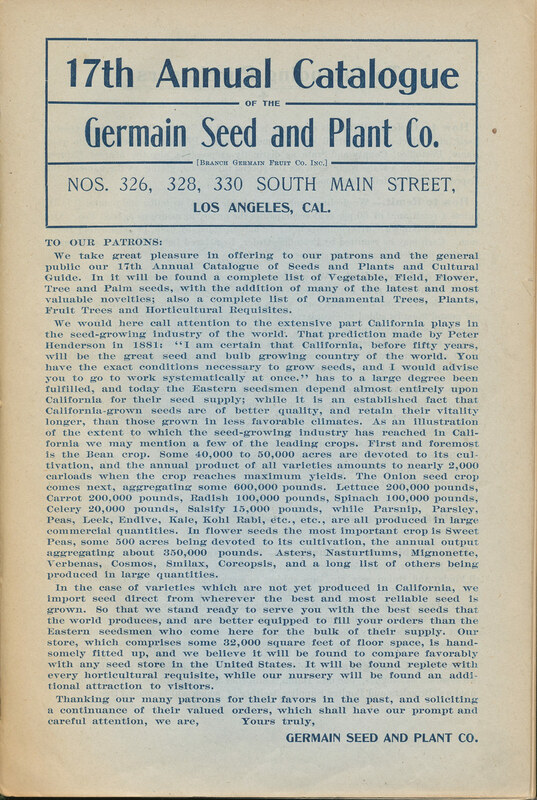 Germain’s was first established in 1871 at 326 – 330 South Main Street, Los Angeles. 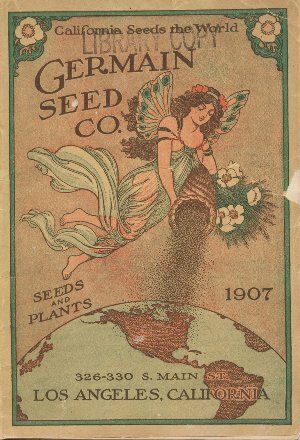 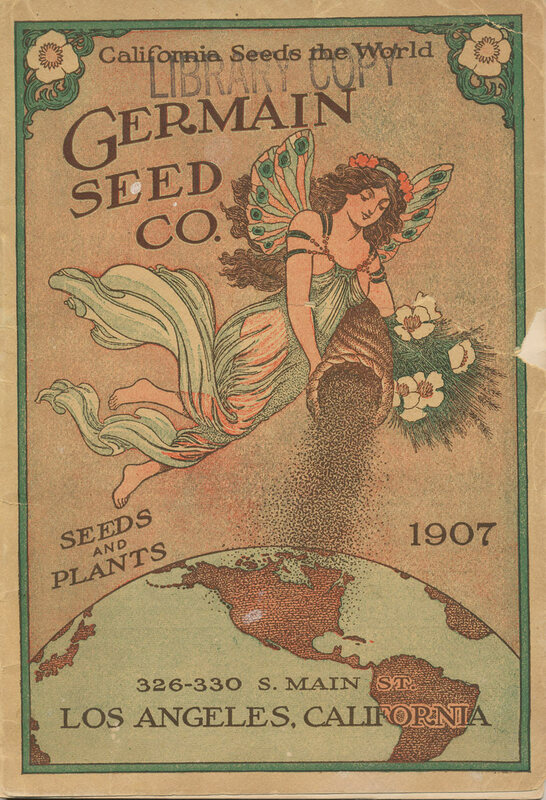 For more on their history, please visit the Germain Seed & Plant Company page. 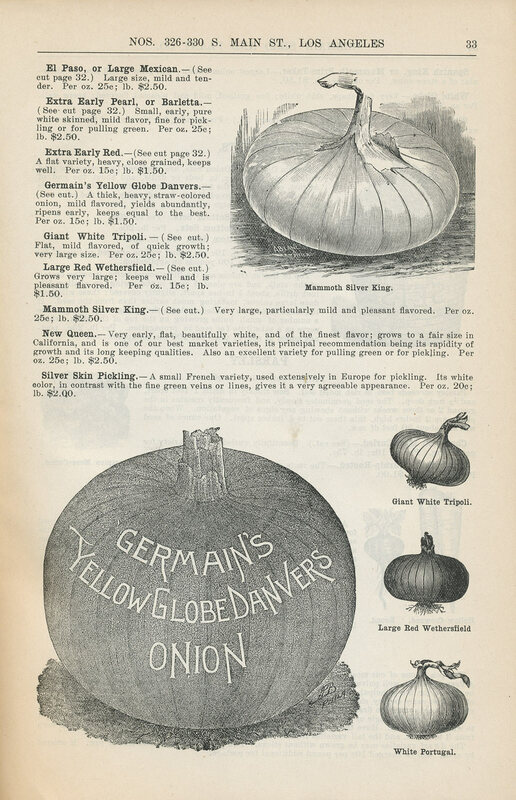 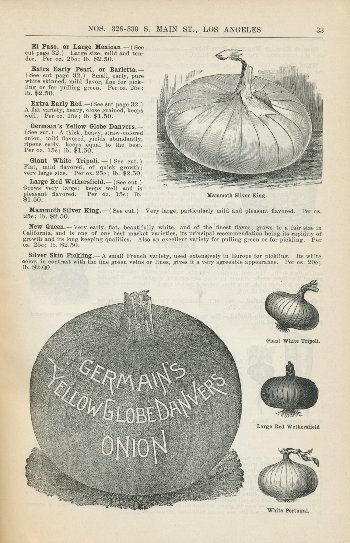 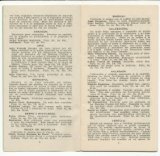 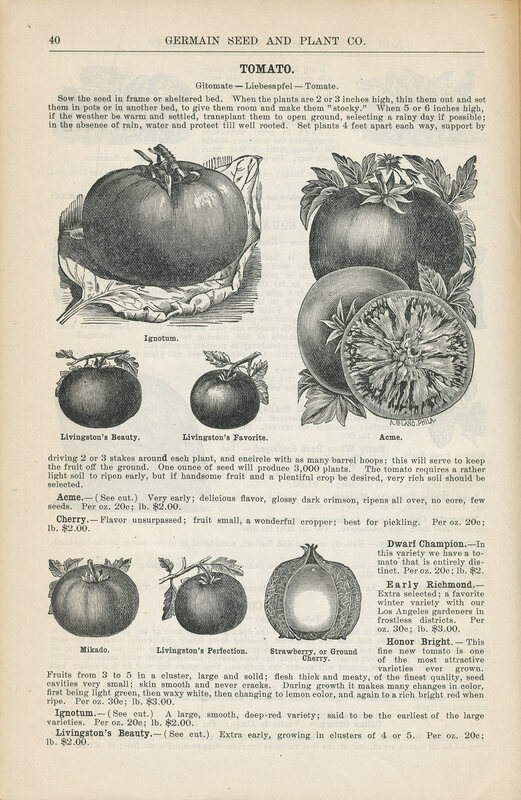 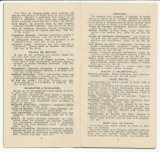 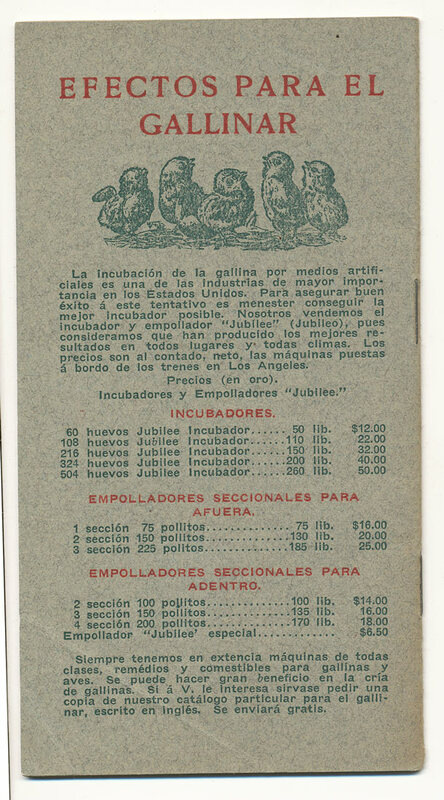 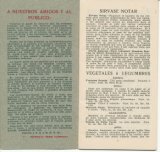 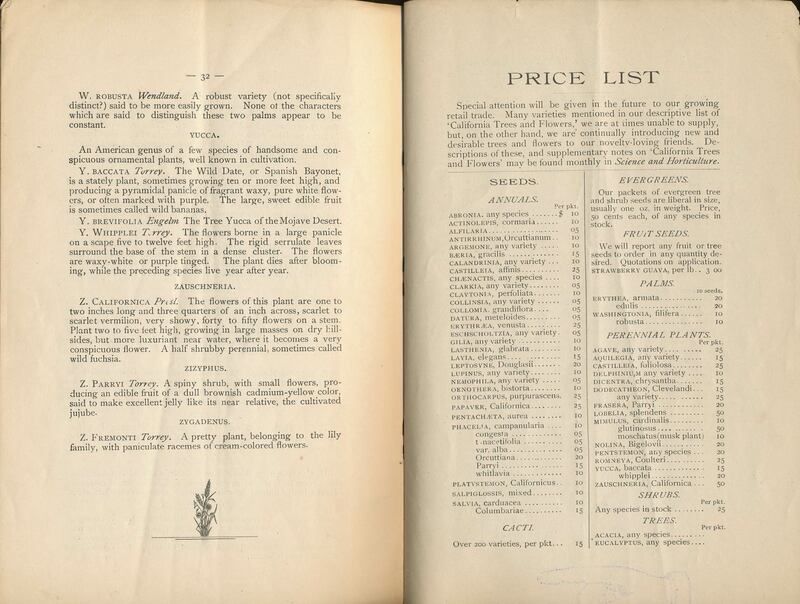 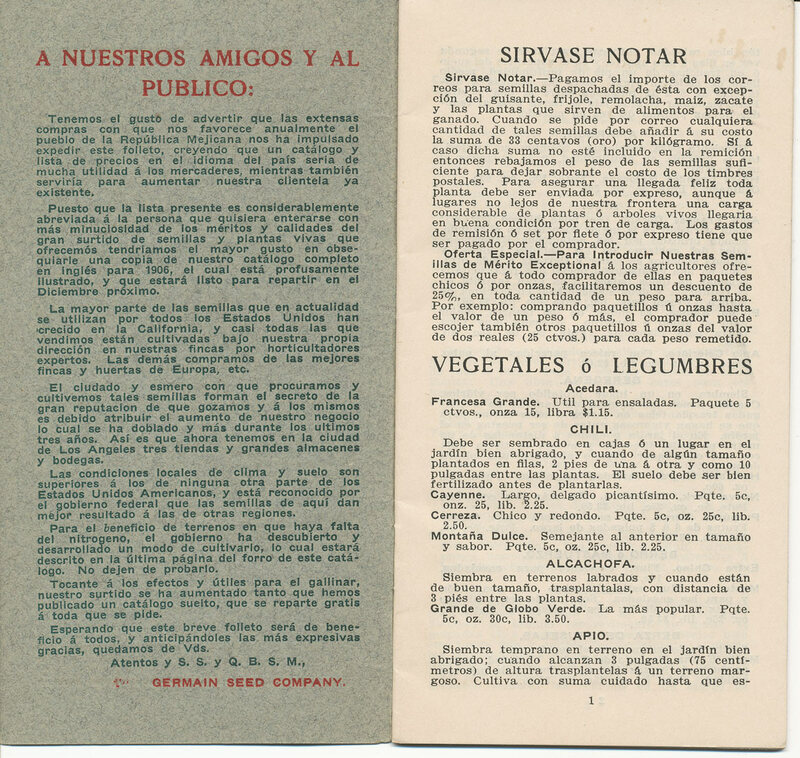 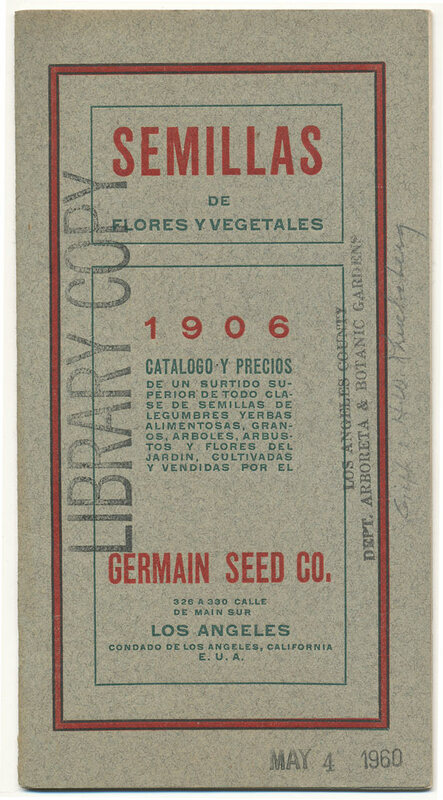 On the three pages below are advertised watermelons such as Kolb’s Gem, Lodi, Sweetheart and Volga; onions such as Germain’s Yellow Globe Danvers, the El Paso and the New Queen, and various tomato varieties produced by pioneering seedsman, A.H. Livingston. 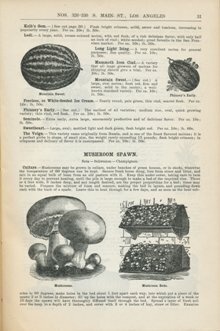 There are also directions for growing your own mushroom bed. 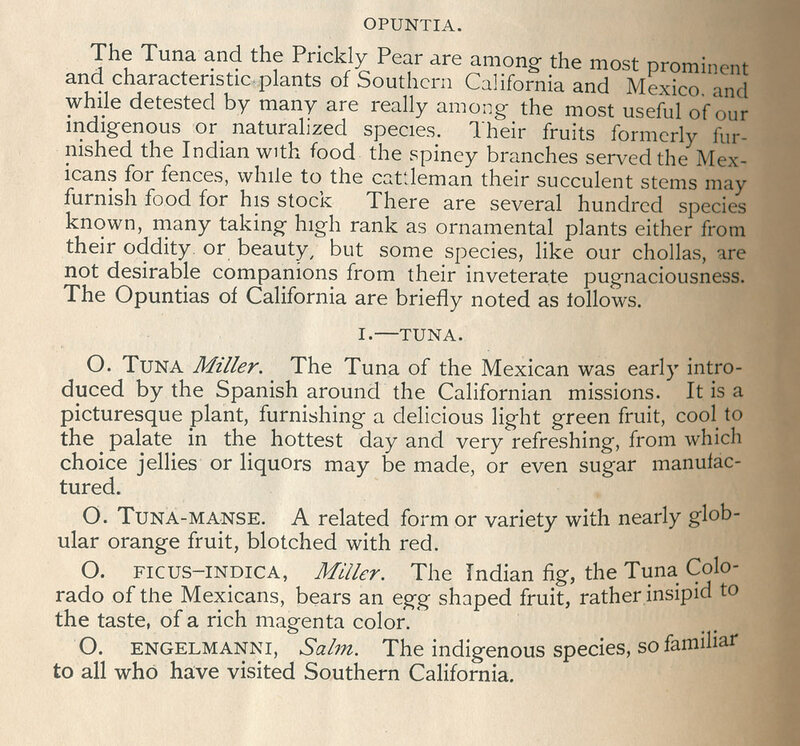 Since California was originally a part of Mexico, there has long been a significant Spanish speaking population in the state, so Germain’s also catered to this audience. 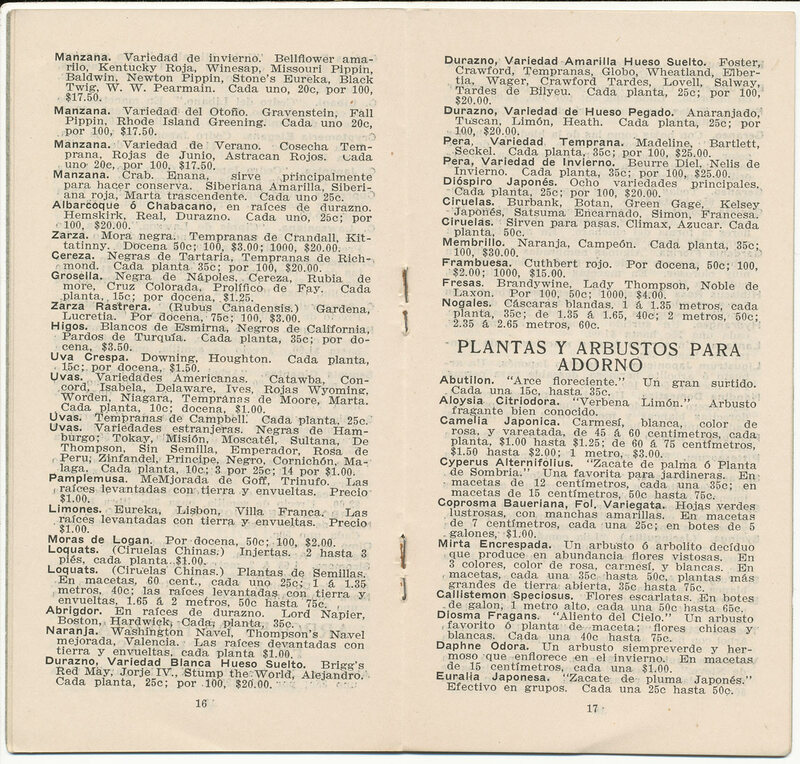 Note how the Spanish, German, and French names are also given for the plants. 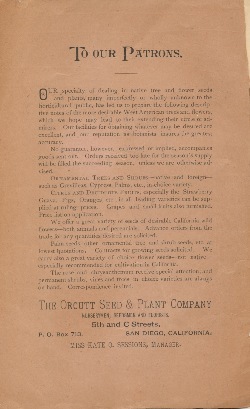 Orcutt Seed & Plant Company was started in 1882 by Charles Russell Orcutt at the corner of 5th and C Streets in San Diego, CA. 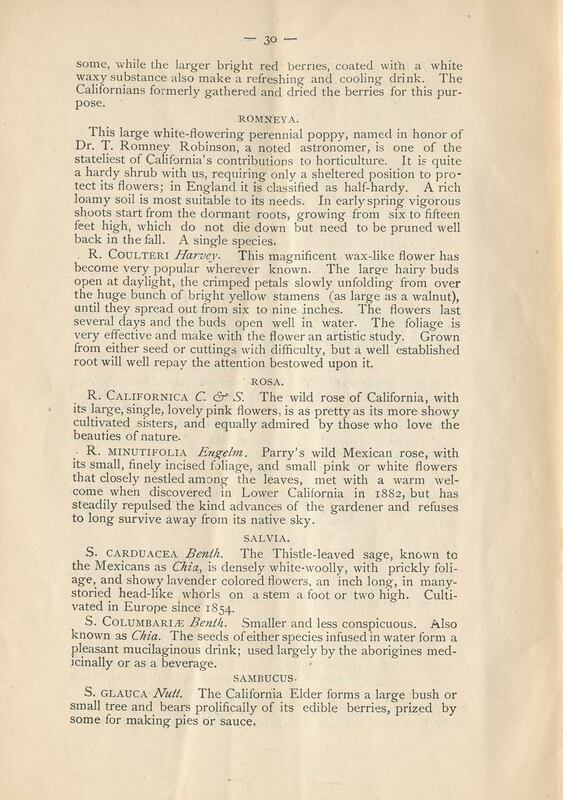 A self-educated botanical collector, Orcutt was one of California’s horticultural trailblazers. 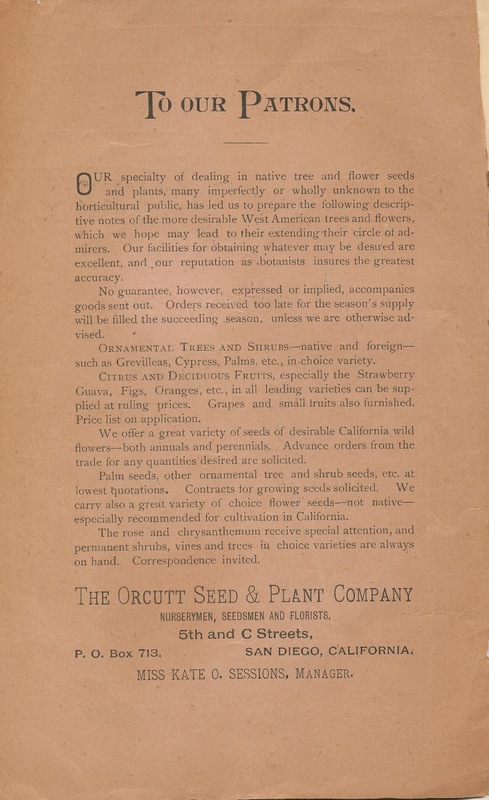 Kate Olivia Sessions, another one of southern California’s early horticultural pioneers, was manager. 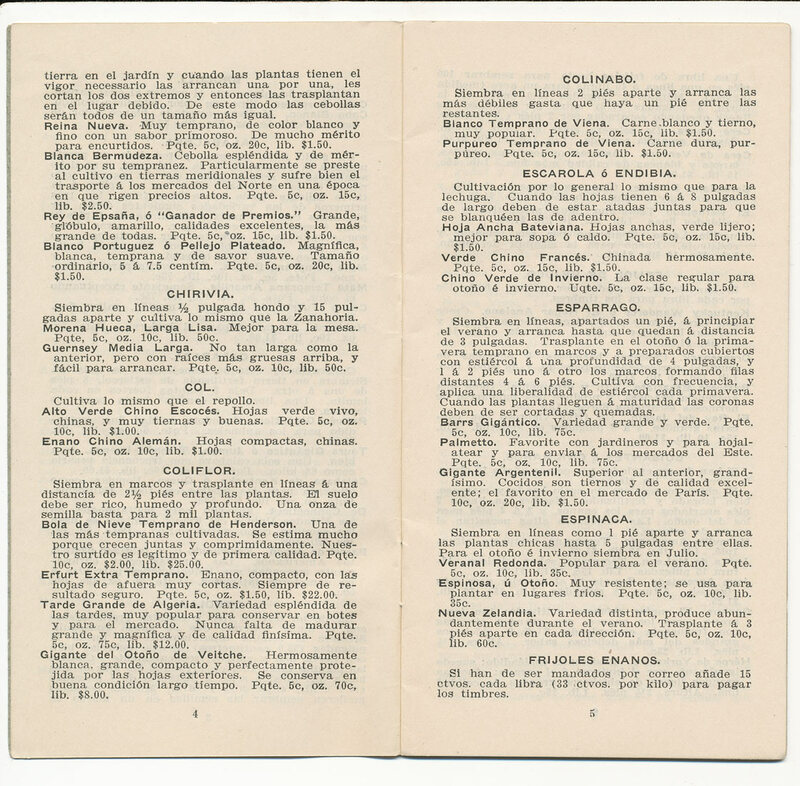 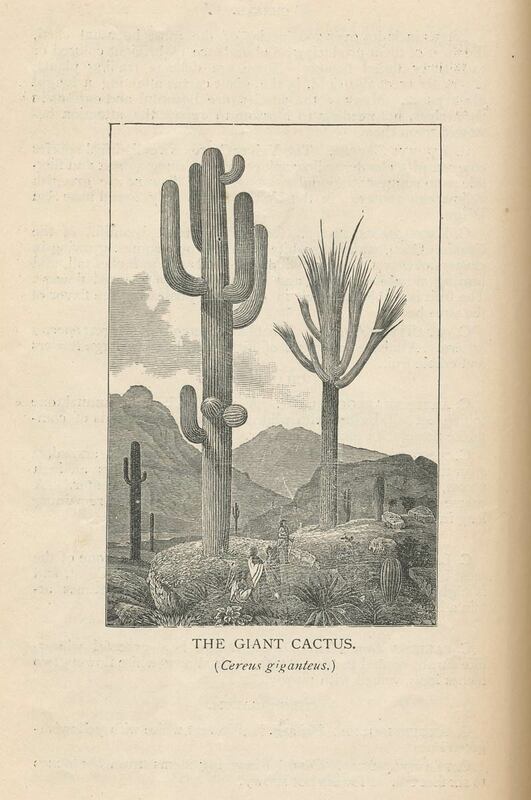 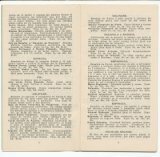 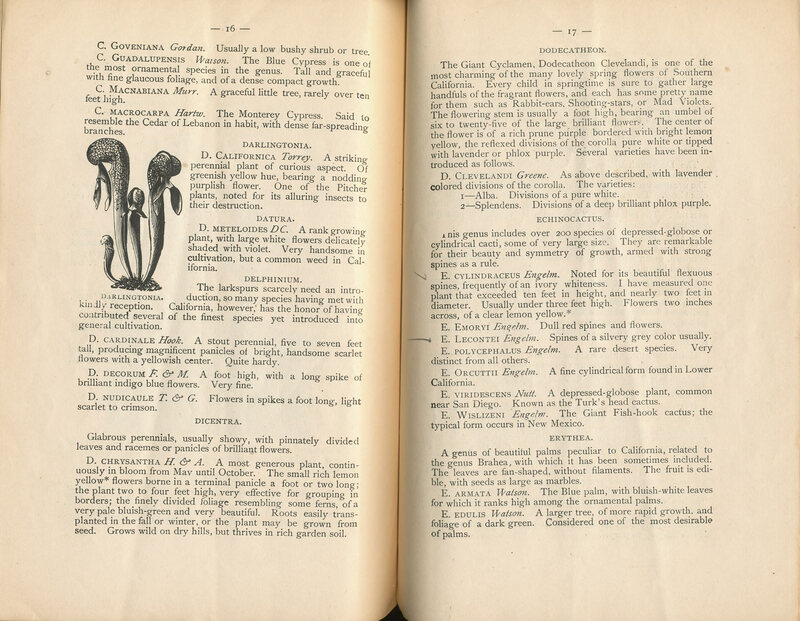 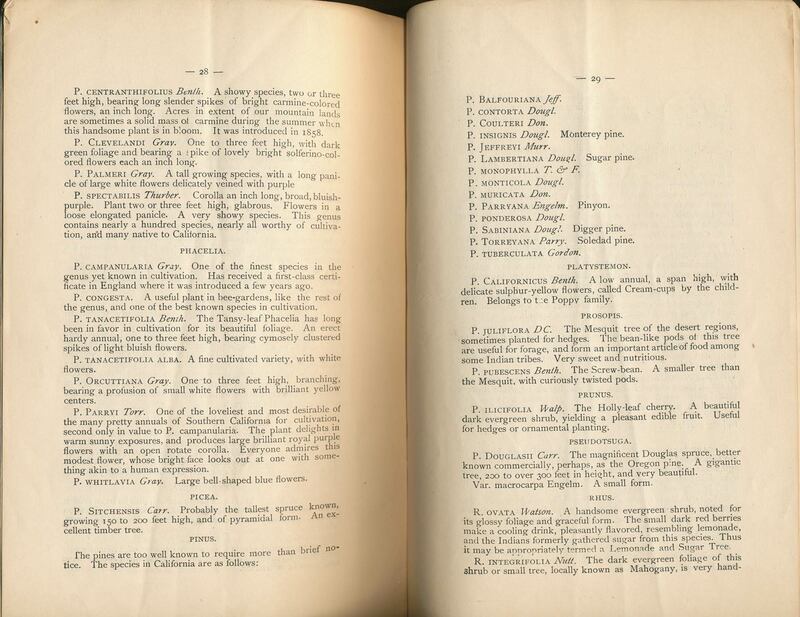 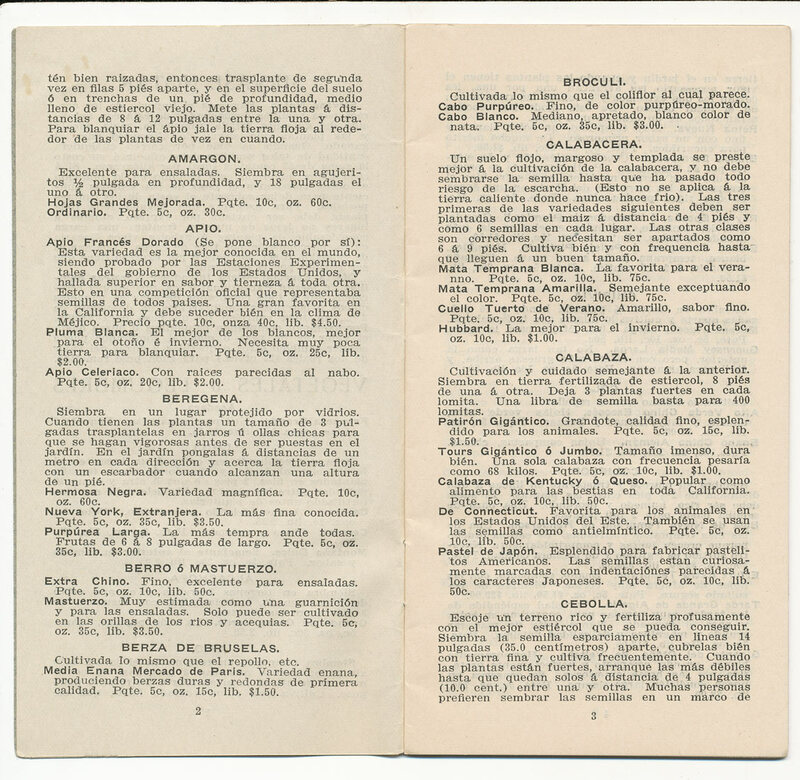 Included in the pages below are some edible plants including agave, the cactus opuntia fruit, and mesquite pods, which were popular among the native American Indians.